I’m just gonna put this out there…I’m not sure why it took us 9+ years to get an Unstuffed Peppers recipe here onto $5 Dinners. We’ve had stuffed peppers, slow cooker stuffed peppers, walking stuffed peppers, poblano stuffed peppers and more. Finally, we get to unstuffed version. 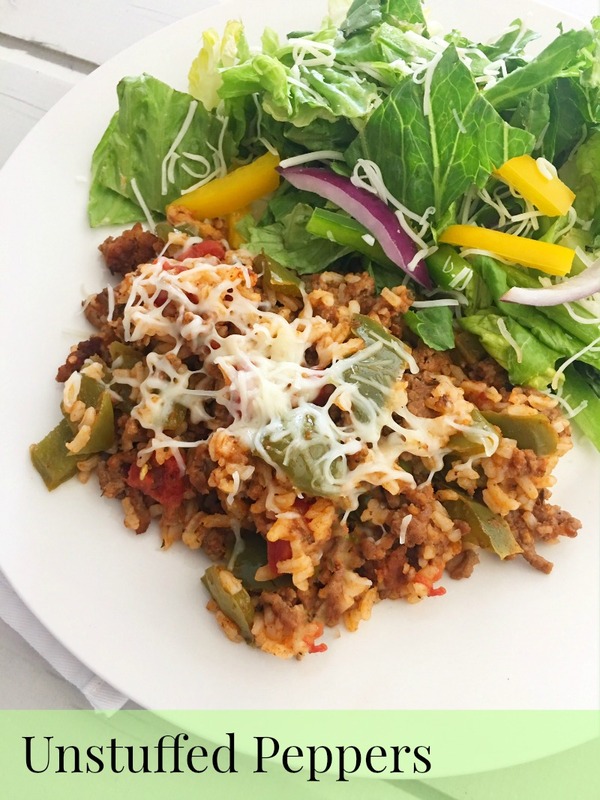 This is a simple ground beef skillet meal…brown the ground beef, add the peppers and tomatoes, float in the white rice with some hot water. Cover tightly and simmer over low heat until rice is soft. Give it a good stir through and then top with shredded cheese before serving. Also, please see note in the directions if you want to use brown rice. In a large skillet, brown the ground beef with the minced onion, garlic powder and chopped bell peppers. Drain and return to the skillet. Stir in the drained diced tomatoes, tomato sauce and Italian seasoning. Combine well and bring to bubbling over medium low heat. 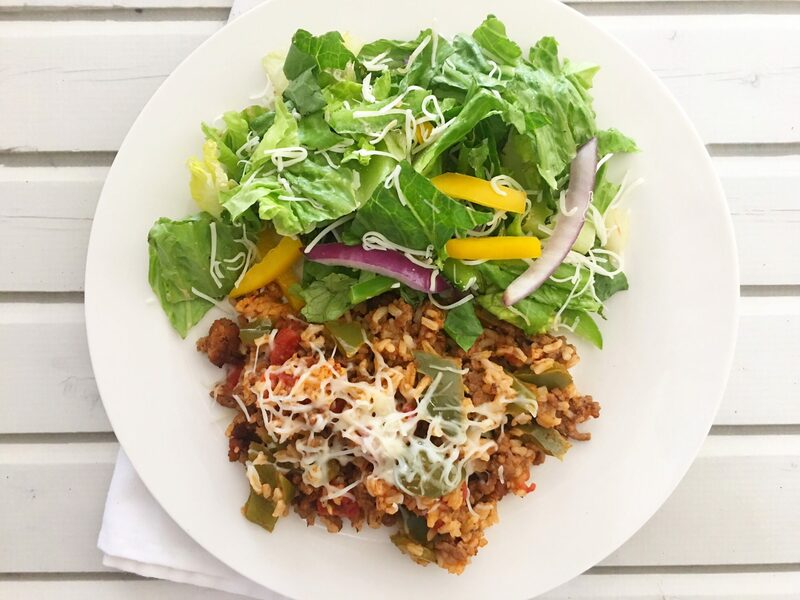 Serve Unstuffed Peppers with salad. OK, I’m planning on doing this tonight. I <3 stuffed green peppers. I just wanted to clarify…. I make the meat and tomato sauce and add the hot water and the dry rice to the meat sauce and cook? I'm sure I am over thinking this, but wanted to check before I messed it up.